Examine garment tags to confirm whether your clothing is made of cotton, polyester or a blend of the two fibers. 4 What Types of Fabrics Absorb Dye Best? A fabric can be defined by its origin, its weave and whether its fibers are blended. Each factor determines the fabric's physical properties, and can improve a fabric's performance and even affect the garment's cost. Twill and cotton-polyester blended fabrics are both known for their durability and wrinkle-resistance, but they achieve these properties in different ways. Twill is both a weave and a fabric. When referring to a twill weave, textile fibers are woven to form diagonal parallel ridges. The direction of these ridges can go left to right, right to left or in a combination of both directions. One example is the herringbone twill that's used frequently in suit fabrics. This kind of twill weave creates an inverted "V" pattern that mirrors a herringbone fish. 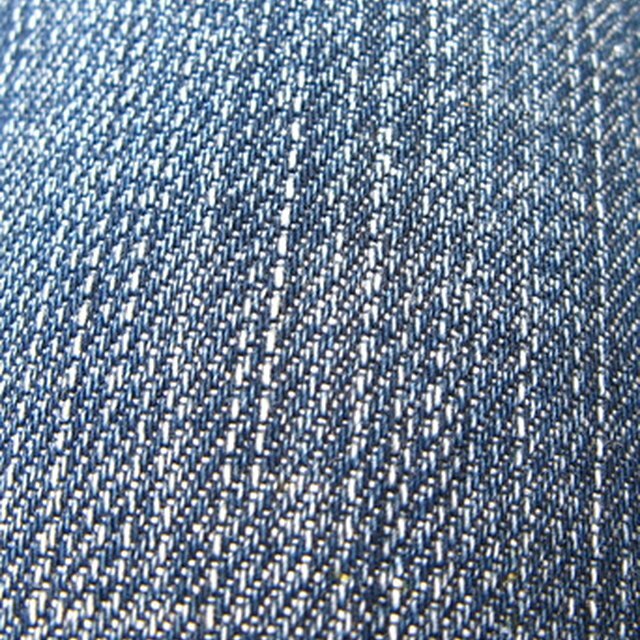 When referring to twill as a fabric, it simply means the fabric's surface shows diagonal parallel ridges (resulting from the weave). Twill fabric can feature one type of fiber or be a fabric blend. Gabardine is a twill fabric made of worsted or spun cotton or rayon, or a blend of the two. This twill-woven textile is sturdy and available in different weights. It is predisposed to have a clear shine after repeated wear and has good wrinkle-resistance (although it does need to pressed properly first). Gabardine is found in tailored suits and coats commonly. Cotton is a natural seed fiber typically grown in warmer climates. It is known for its absorbency, strength and can also be washed and dyed easily. Depending on how it is manufactured, cotton weight varies from light or heavy -- making this a versatile and relatively affordable fabric in garment production. Cotton is a breathable fabric that is nonirritating. However, once cotton gets wet, it is slow to dry. Its fibers can also be ruined by mildew or extended sunlight exposure. Polyester is a synthetic fiber known for its durability and resiliency. Polyester feels smooth and lightweight; it is also resistant to wrinkling or shrinking. 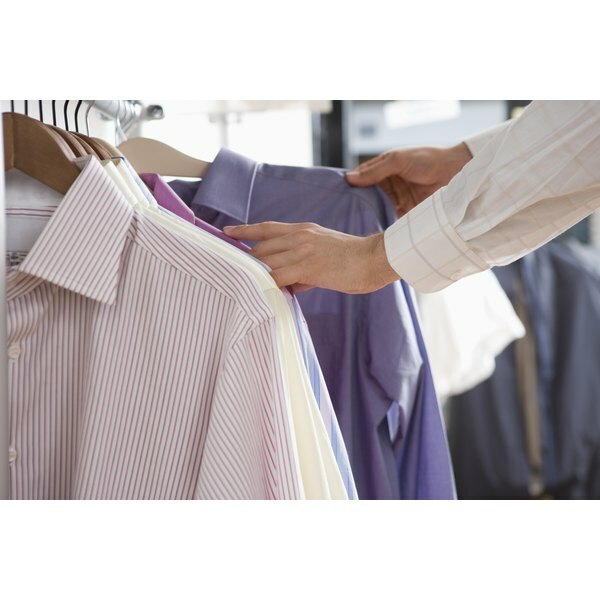 Clothing made from polyester is generally easy to wash and dries quickly; however, it lacks breathability, especially in comparison with natural fibers. Blending fabrics is a popular method for increasing a garment's overall textile fiber performance. The best characteristics of all fabric types are collected and combined. Additionally, one fabric that lacks a specific property can be blended with a superior fabric to compensate. Fabric blends may also enhance a garment's physical appearance and reduce clothing costs. When blended, cotton and polyester produce an attractive textile that's perfect for clothing. Polyester does not crease easily, while cotton is known for its comfortable feeling and appealing look. The compromise is a great textile that requires little ironing, and also looks and feels great on the skin. Cotton-polyester blends also feature medium absorbency -- which polyester lacks if produced alone -- and reduced shrinkage, which cotton is prone to if it isn't pre-treated.